Hazelnut was the first nut I’ve had in my life. When I was 2 years old we had a hazelnut tree in our garden. One of my earliest childhood memories is the one of my grandfather picking up a nut from the tree for me. He was choosing the biggest and the most beautiful one and it made me feel so special… When I was three we moved out from the house and I have never seen a hazelnut tree again, but my love for hazelnuts has remained unchanged. So, when I saw the recipe for a cake with hazelnuts and pieces of dark chocolate on Every Cake You Bake blog, I couldn’t wait to try it. 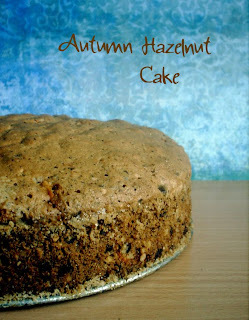 I made the cake last Friday and it turned exactly as I had imagined - extremely moist and fluffy with a wonderful hazelnut flavor. The combination of flavors and textures in the cake is just perfect.The pieces of chocolate taste absolutely sensational when they melt in your mouth and the apples add extra moistness to the cake. 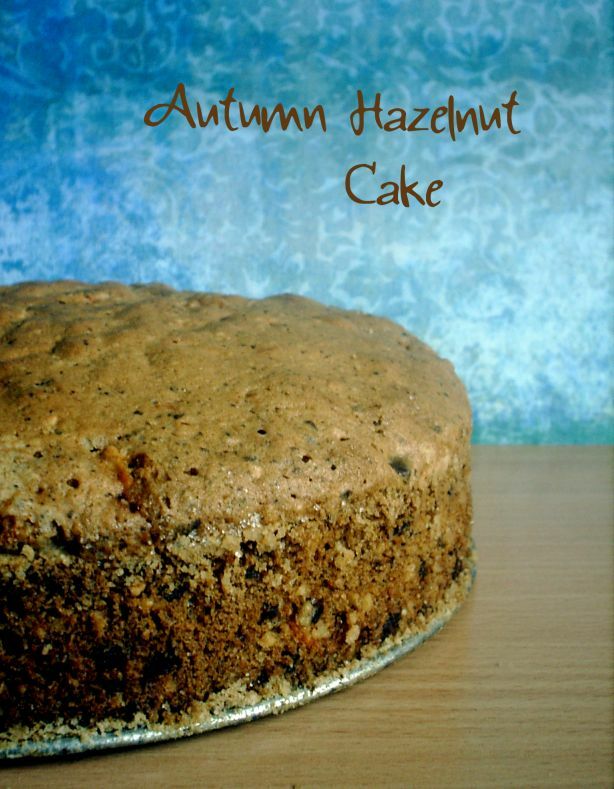 The recipe originally comes from an Austrian leaflet and was called Autumn Apple and Nut Cake, but since the cake has strong nutty flavor and the apple flavor is very subtle, I’ve decided to change the name. I also altered the recipe slightly by reducing the amount of sugar (the original called for 250 g ). Cream the butter until light and fluffy. Add the egg yolks, one at a time, beating well after each addition. Add the sugars and beat again until mixture comes together and is no longer crumbly. Add the flour and baking powder and stir with a spoon until well combined. Then, stir in the apples. Put all the nuts into a food processor and grind up without turning them into a powder. In a separate bowl beat the egg whites until stiff peaks. Fold in the chocolate pieces and ground hazelnuts. Gently fold the egg whites mixture into the batter. Pour the mixture into the greased and floured springform pan and bake for 1 1/2 hour.